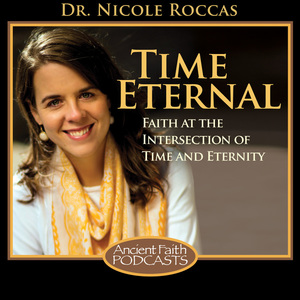 The most recent episode of Time Eternal talked about seasons of job loss in our lives. Following up on that theme, my friend and fellow Ancient Faith contributor, Nicholas Kotar, recounts an experience a friend of his recently had. It’s one I think many of us can relate to and I asked if we could share it here. Let us know if this is a story you can relate to in the comments or on Facebook! Have you ever had one of those reading or listening experiences when everything you thought about yourself flips over in your head? You know, something like spiritual vertigo? I had one of those experiences a few days ago when listening to Michael Hyatt’s new podcast. He and his co-host made a frightening assertion. According to some studies, 95% of people consider themselves self-aware, but they’re wrong. In actual fact, more like 10% of people are actually aware of themselves. That really hit home for me. I’ve always thought of myself as an organized and efficient worker who gets along well with people and puts his family first. But when you talk to my close friends and family, you’ll find out that actually I’m often an insecure, disorganized, and emotionally unstable romantic who has trouble juggling priorities. At first, I was ecstatic. Freedom! Time to spend with the family! No deadlines! Except, where before I had a concrete structure within which I did good work quickly, now I had no one to set those external limits but myself. And, to my surprise, myself was a very bad motivator. Result: all sorts of self-indulgent behavior. Taking entire days off. Waiting until the last week to complete a project. “Reveling” in the rush of finishing something in record time (when it should have been done slowly and moderately over a much longer period of time). After about a year of this, I started to get sick more often than usual. My children started to act worse than ever. My relationship with my wife became strangely strained. And I blamed everyone else. Suddenly, I got an email from my most consistent provider of freelance work that I would receive no projects from them for the next twelve months. Soon afterward, we got word that there was dry rot in the house we were supposed to move into. And, to top it all off, the economy had just plunged into the worst recession of the last twenty years. Rather than take stock of my situation, I engaged in what was effectively busy work. I spent countless hours on the internet doing menial tasks that led to no useful work, but still allowed me the illusion of ‘working.’ No new projects came my way, and soon I found myself at the mercy of the local economy. In the meantime, I continued to blame everyone else, in particular, my wife and kids, for not providing me with enough time in which to work. I blamed my in-laws for not helping my wife take care of the children. I blamed her sisters for being too self-centered to see that we needed them to bail us out. “Don’t you want me to provide for the family?” I would say to my wife. “Why do you only think of yourself?” I would say to my wife’s only unmarried sister. I silently judged my mother-in-law for leaving the room anytime my son had a tantrum. My wife did everything in her power to help, but it wasn’t her problem. I drove her away. I drove my kids away. I drove my in-laws away. And my son began to have the worst behavioral problems he’s ever had. I realized that my prayer life had effectively ceased. I was dry as I have never been. Standing in church gave me nothing. I began to miss services for no good reason. The gaps between Holy Communion became longer and longer. At a certain point, when my anger was so strong it almost shook me, I realized I was very near despair. So I opened up to a priest. After a long conversation and intense self-examination, I realized some painful things about myself. I was committing some of the basic no-nos in Christian life. I had neglected some of the most obvious things that any Christian with half a brain is doing daily. I was putting myself before God, before my family, before everyone else. Then I started, painful step by painful step, to switch it all around. I forced myself to shut up and consider the impossible fact that I might be wrong. I forced myself to pray every morning and every evening as I should. I forced myself to spend time with my son whenever he asked me to. I forced myself to go to church when I didn’t want to. I forced myself to stop vocally judging my in-laws (mentally was harder). I forced myself to go to communion often. What happened? Well, the jobs didn’t start coming in. I didn’t have any fewer financial worries. But I became more self-aware, and that self-awareness forced me to seek my support in God first, then in my family. My wife’s tenderness slowly came back. My boy’s behavior improved exponentially. It turned out my in-laws were actually very willing to help out. Then, slowly, little bits of needed money appeared at exactly the right moment. A debt was forgiven. A hundred-dollar bill showed up in my pocket (I’m not kidding). Only many months later, the work started to flood in. But now, my priorities were in the proper place. So that no matter how much or how little the work, the important things in life tend to stay (most of the time) in balance. Nicholas Kotar is a writer of epic fantasy inspired by Russian fairy tales, a freelance translator from Russian to English, the resident conductor of the men’s choir at a Russian monastery in the middle of nowhere, and a semi-professional vocalist. His one great regret in life is that he was not born in the nineteenth century in St. Petersburg, but he is doing everything he can to remedy that error. He blogs as “The Storyteller” on the Ancient Faith blogging platform (https://blogs.ancientfaith.com/nicholaskotar/). His novels The Song of the Sirin (https://www.amazon.com/dp/B071JC9C32) and The Curse of the Raven (https://www.amazon.com/dp/B075LYRKRZ) are available for sale on Amazon. Excellent reminder to my heart and encouraging! God is with us, everywhere present and filling all things, thank you for posting!